Social media is still on the lips of most marketers and is now starting to infiltrate C-level discussion. Thankfully the hype is settling down and strategic planning and logic is starting to be applied. Whereas only 4 Ads mentioned Facebook, and 1 mentioned Instagram. None mentioned YouTube or Google+. This is a massive turnaround from 2012 when both Facebook and Twitter were mentioned 8 times each. Because Twitter is a character limited, short sharp notification platform, and Facebook is a social network for engaging with friends. So it’s a no brainer that if you’re at a sporting event, then you’d be with your friends watching the game, with the occasional short distraction thrown in. 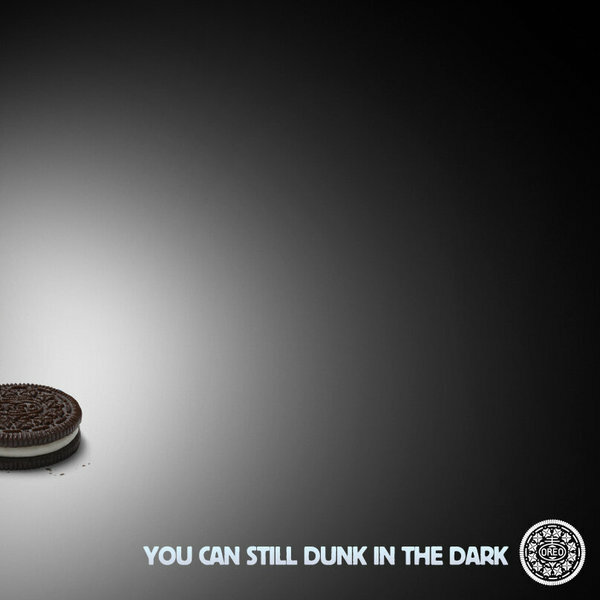 And it was impressive to see that Oreo had their social team and management on standby to quickly react to the ‘lights out’ drama. 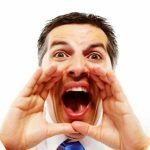 It’s no longer good enough to allow channels to operate in isolation, databases not to seamlessly talk, feedback to be ignored, and poor customer experiences to be created by out of touch front line staff. Businesses must re-engineer into social businesses or face losing market share. Attract the right talent, and harness their potential for knowledge sharing. Gone are the days of a pigeon hole job spec where information is cascaded up and down an organisation at snails pace. Social businesses need to be agile and open to ideas from all employees. And more importantly harness the power of their employees to create content and conversations that can be shared both internally and externally. How many of your front line staff are creating content for your company blog or Facebook page? How many are starting provocative topics of conversation in LinkedIn? And how many are shooting videos and snapping pictures at your corporate and sponsored events? Social businesses such as Starbucks, Zappos, and Nokia are getting their employees excited about the brand they work for. Nokia has evolved its internal collaboration strategy from forums and wikis to SharePoint and Socialcast. Over 14,000 Nokia employees now use Socialcast daily to facilitate communication and collaboration and keep up to speed on events as well as share stories. No, it’s not a new concept, however it’s such an easy one to implement. Empower your staff to deliver incredible experiences. A social business needs to constantly think of the water-cooler stories, taxi conversations, and party discussions that are now being held in social media. A frown at reception, an “I’m too important to talk to the customer” attitude, or failing to return phone calls simply won’t cut it in 2013. And yes all 3 happened to me last week at a medical centre, with a telco and in a retail shop. They all lost my business. And internationally, The Royal Bank of Canada recently achieved a 17% improvement in customer satisfaction from implementing a social customer care system that was integrated with their traditional call center. So remember, it’s all about ‘them’, customers, and not about ‘you’. We’ve started seeing the emergence of Social Business Command Centres with Dell, Gatorade and Hootsuite’s 2012 Presidential Election Tracker amongst the early examples. It can either be one physical space or a virtually constructed team. However, most importantly, it’s the centre where listening, product innovation, customer care, engagement, advocacy and real-time content analysis is focused on. This is critical for understanding industry shifts, changes in customer behaviour and competitor conversations. With 2.5 quintillion bytes of information being created every day and 80% of the information created being unstructured, it should be a full time job to unearth actionable insights and not left to the juniors in the department. Nokia uses a tool called Agora which is a 6-screen social visualiser to monitor how customers use and talk about their brand, products, and competitors, and to get an instant feel of what’s being said about the company worldwide. Note, NAB’s social media community grew more than 350% in 2012 and now has over 135,000 followers across Twitter, Facebook, YouTube, LinkedIn and Google+ with content reaching over 12 million users. They apparently receive around 5,000 comments and resolve 600 customer service requests through social media every month, a 10% growth in customer service interactions in social media, on average, for every month in 2012. Hopefully the need to adapt your business now. Some areas you can action internally. And others may need new partnerships. And if you need some help, then touch base with TrinityP3 and let’s discuss social business before your competitor does.